It all started so nicely… reasonable weather, light breeze and a dry tarmac downhill start, followed by a mile or two along wooded and slightly boggy paths. Not to bad so far… then came the flooded lane. Expecting an ankle deep puddle we were in for a shock… the water was deep enough to soak your shorts and went on until your legs and other parts were frozen. A few more miles, some on tarmac, but mostly wet and boggy, ending with an uphill mile across some sodden (or was it sodding) fields to the finish. Needless to say that all the RATs enjoyed the outing as they look towards more of the same in next years Grizzly. 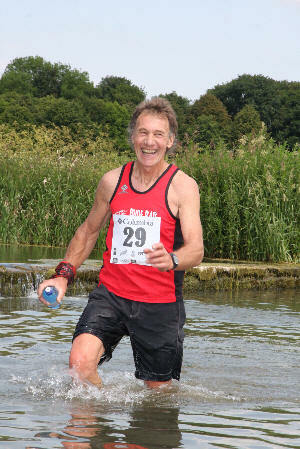 Guest RAT David Myers also had a great outing finishing in 1:20:46 despite trying to swim the flooded lane. Click here to see more Christmas Run photos. 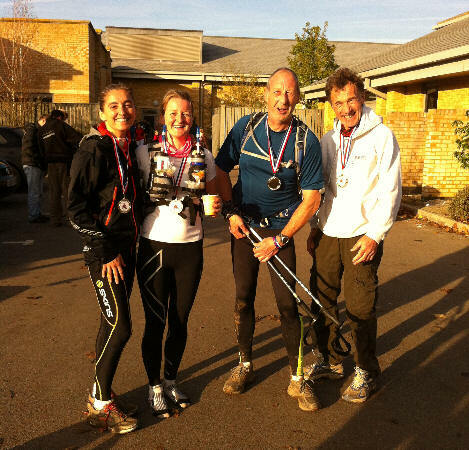 What a beautiful day… warm sunshine, no wind, mild temperatures… and lots of hills and mud! 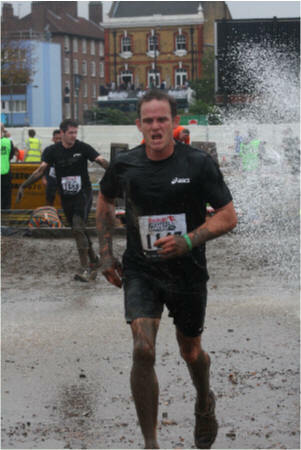 November 12th saw the first Mens Health Survival of the Fittest at Battersea Park power station, London. There were nearly 7,000 competitors over 20 waves run solo or in teams of 5 or 10. The course was 10k this time but with 16 obstacles. The organisers promised we would get wet and we did. Besides the normal climbing over, under and through cars, walls, building sites etc, we had to do an 800 metre steeple chase half way through the run, we crawled through ice followed by mud then a dowsing with a fire hose, just to be sure we were clean we had to then jump into freezing cold water before completing the last two obstacles the last of which is the infamous 8ft wall, as if you’re not tired enough, just hope someone will give you a leg up, just don’t think about the drop down the other side. The fastest time of the day was 38mins, slowest was 3.5 hours, my time in comparison was 1:05:38. Tring – Swindon… 84 miles in a weekend following the Ridgeway, part of the oldest road in Britain RATs Becky, Ali, Bridge and Roger, with friends Paul George and Phil Bullen, found this challenge irresistible. in one room, 5.15am starts, rough and muddy trails. Paul and Bridge provided great support, Becky beat her previous time by almost 2 hours, Ali enjoyed her first ultra event, MdS veteran Phil had another good race and Rog got a nice surprise with a category win and a good prize of Trail shoes! Unfinished business for Bridge so back again next year! 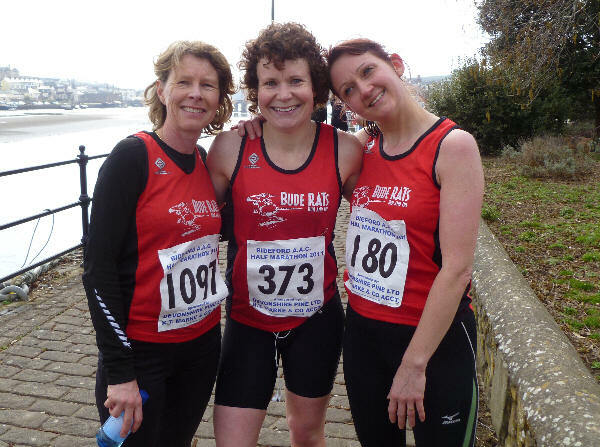 It was pb’s all round for the 4 Bude Rats taking part in the first Plymouth 10k. Although the 8.15am start was “challenging” it was worth it for the “flat-for-Plymouth”, traffic free course set in the city centre. The event was well organised and friendly with a nice medal at the finish! A good turn out from the RATs for this year’s Sourton Scramble, with another fantastic result from Helen Heard - husband Chris creeping up though Helen, you are going to have to find yet another gear from somewhere! 2 Birthdays today too… What a treat, a nice muddy, hilly 10k… actually it was just under 7 miles. Great effort for turning out and Ray and Ben certainly earned their celebratory meals. Ben Mitchell – 44.52 – 5th overall. Birthday Boy. Thanks to pappaRATsi Alex who was too poorly to run on the day so took all the piccies. “It was a perfect day for a run on Sunday 23rd October and 15,000 people were lined up for the Bupa Great Run in Birmingham. It was a lovely course to run with a flat and fast first 8 miles, however there was nice mile and a half of non-stop incline awaiting the runners in the final 3 miles! The highest point though was running in the same race as the likes of Haile Gebrselassie and Jemma Steele and being just metres away from them as they passed on the middle straight. A fabulous experience”. Beaten by older sister Lauren by 1 second! Race reviews from previous years promised a fast flat course with a carnival atmosphere. Far from the norm of what any mud-loving RAT would generally enter. However, as a race to ease back into training, it looked ok. The start was well organised and the atmosphere was great, 15000 runners to get under way was no easy task. The route itself was almost flat, and the crowd-lined streets kept motivation high. 14 degrees with a light breeze made for perfect weather too! The only downside was that the number of people made it very difficult to run at your own pace. All in all a fab race and a lovely city. 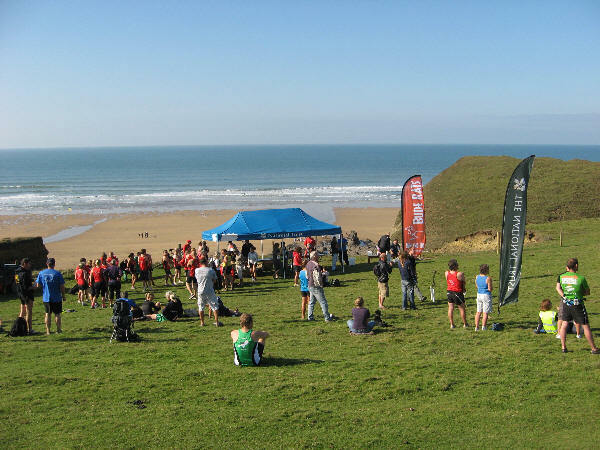 A superb autumn day and the awesome setting above Sandy Mouth beach provided the perfect location for the start and finish of this inaugural National trust event. 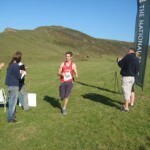 A tough 10km race following the coastal path and bridle ways around Northcott Mouth, Stowe, Duckpool and Sandy Mouth. Competitors came from all over Devon and Cornwall. RAT Ben Mitchell took the honours with a very impressive run, finishing well clear of fellow RAT Jim Miller in second place and first lady Jo Meek (Tavistock)in third place ahead of local triathlete James Marshall who held off RAT Rob Shaw. 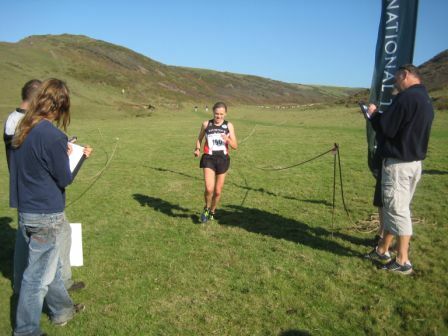 Second female Clare Donovan (Exeter) was close behind holding off the ever competitive Hammond brothers, followed by Jon Meek with third lady Sharon Daw (East Cornwall) just ahead off first female RAT Jane Cann. Well done RATties – a good morning’s work! The third Eden Project Marathon on Sunday 9th October saw runners lining up to tackle this challenging course. 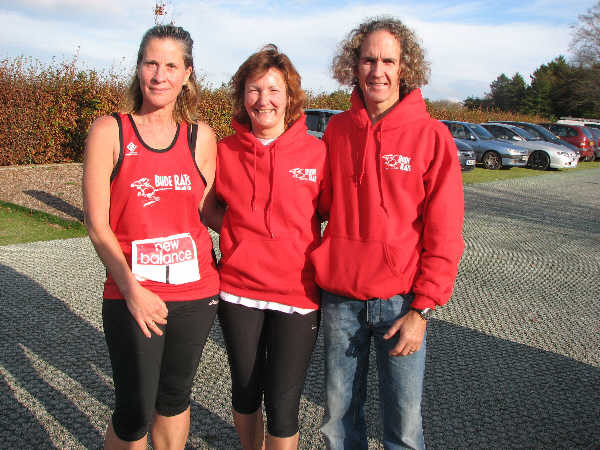 The Bude Rats were represented in the half marathon which is a challenging, hilly course through country lanes and trails through beautiful Cornish countryside and villages, taking in amazing views and finishing at Eden’s spectacular Biomes. The weather was friendly for the runners this year, with a light drizzle keeping things cool and the supporters around the course were great – especially the family around the 7 mile point who had decorated the outside of their house with flags and banners, had uplifting music playing and children holding trays of chopped Mars Bars and jelly beans! Runners have to dig deep to tackle the pain of those hills, but when you enter the Eden Project for the last down hill mile you can hear the music and see the biomes below and know the end is in sight which is a great moment. Beer and medals at the end! 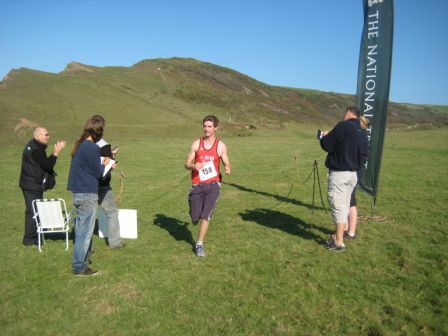 Every runner is rewarded with a t-shirt, medal and a massively well earned Cornish pasty and a pint of Cornish beer! Weather and course both quite kind and Alex was pleased with her time and managed to knock 3 minutes off last year’s result she felt good this year ’til about 10 miles then time slipped away a little. Mark said ‘he blew up half way round’ but still managed 33rd position out of field of over 1650 competitors. I think we could all do with a bit of ‘blowing up’ sometimes if that’s the case! especially as this was Marks 19th race this year! 170 runners turned out for the Bideford 10 miler and the drizzle eased for the start of the race. Sabine and Ben had a strong start remaining at the front of the pack over the first few miles. After 5 miles the course turned onto the Tarka Trail and into a strong wind but the Bude Rats held their positions with Paul having a particularly strong finish. Ben finished in 1 hour 4 mins with Paul and Sabine behind him just seconds apart. A good run was had by all and great results across the board. Well done Rats for an excellent performance! 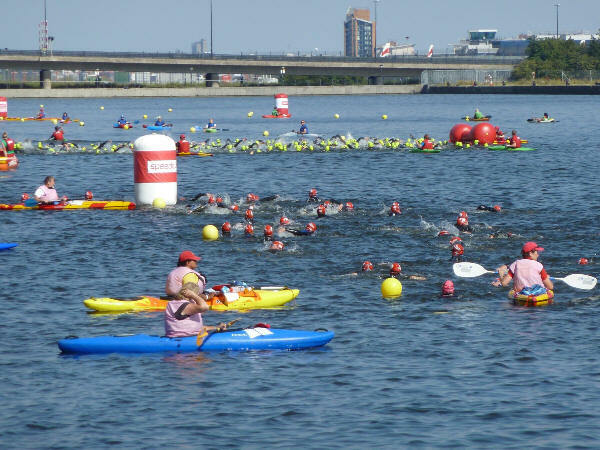 It would have been hard to find a better event for my first triathlon said Katie Davis. 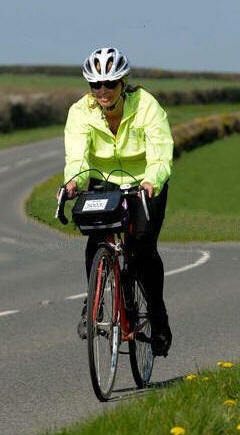 There was a very friendly, supportive atmosphere with a good mix of first timers and experienced triathletes alike. The weather was lovely and it was really well supported – it was incredible looking up from the start of the swim in Bideford river at all the crowds lining the bridge. I am already looking forward to next year’s event and it has given me the confidence to try out some other local triathlons. 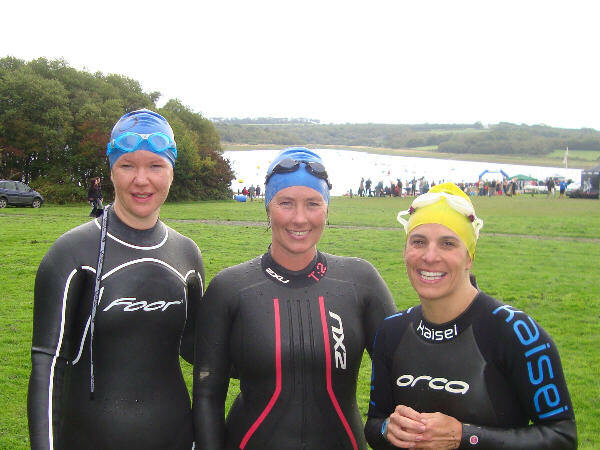 One miler swim at Roadford on Saturday 24th. Just the 3 of us went but we loved it! 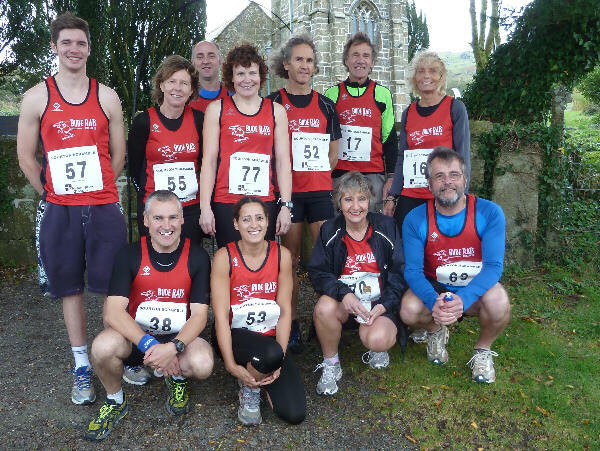 “Great run and atmosphere but got totally drenched – also forgot how hilly the course is! River RAT Kate Greenaway decided to race sitting down this weekend! 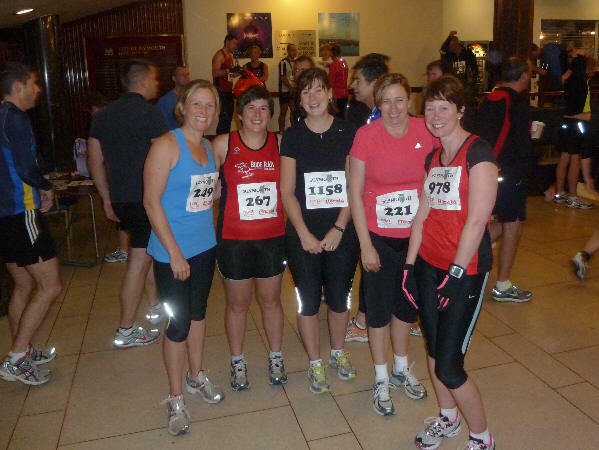 The girls 2:59;50 beat their target of 3 hours. 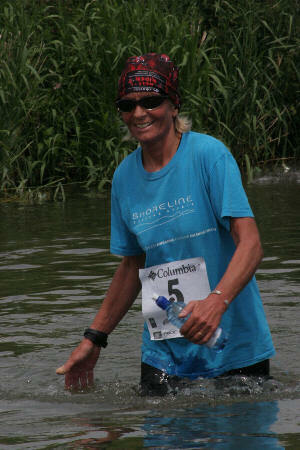 From London Docklands to Ham in Surrey, London’s River marathon attracts crews from all over the globe. Bridget Funnell and Roger Nosworthy travelled North of the border for a 105 mile jaunt through the Highlands of Scotland. Traversing from the Moray Firth to Glencoe, over 2 days, by foot, bike and Kayak. Day 1 started in Nairn with a 7 mile muddy run to Cawdor Castle for the first bike transition… 48 miles later along quiet back roads and with the hope of seeing Golden Eagles, Pine Martens and Haggi ,cyclists eventually ended up in picturesque Fort Augustus. Leaving their bikes the competitors ran to the banks of Loch Ness for a 1/2 mile kayak before running through the town to finish Day 1. Overnight camping in a very soggy tent city, with a 5.30 am rise to pack everything away and refuel for the start of Day 2. Back on the bikes for 17 miles of lovely muddy ‘off road’ with some tough technical parts, followed by another 17 miles on road eventually ending up in Fort William for the final run (ha ha). This 14 mile run/trek/crawl included several hundred metres of ascent/descent taking competitors round Ben Nevis, through stunning scenery, to take minds off the pain, up over the top of Glencoe for a very steep, muddy and lethally slippery descent to the banks of Loch Leven for the final kayak stage, a mile across the loch to the FINISH, watched and cheered in by a good crowd and some inquisitive seals wondering what on earth was going on. Finishing the race in a not too disgraceful time of 14 hrs, with room for improvement Next Time! A tough but great event with impressive organisation. “The course was the same as used in the Olympics in 2008, based in the northern suburbs of Beijing. “I competed in the World Aquathlon Championships the day after I arrived which allowed me to get a feel of the conditions I was going to be racing in,and settle my nerves, it was extremely hot but I managed to come 11th in my age-group, I was the only Brit to compete in my age category. “For the next few days I did a bit of sight-seeing and just hung out with fellow age- groupers who seem to come from all walks of life, it was interesting learning what had brought them here and the kinds of triathlon experiences they had all been through. It was great also to meet international triathletes, and see how their teams worked and nurtured them. The conditions for the triathlon weekend were cool and wet for the elites, but for my race day were dry and warm getting hotter on the run. 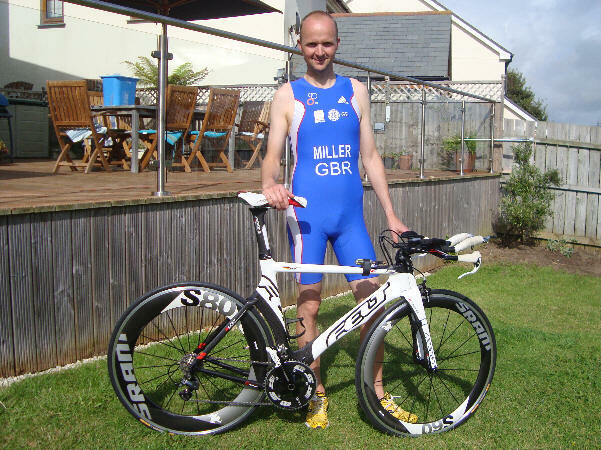 The swim was non-wetsuit as the water was as warm as a bath, the bike was good, 3 laps of a fairly flat course quite twisty in places, saw quite a few crashes and road-rash victims along the way, the run was purgatory… need to work on the run! The Jungfrau Marathon in Switzerland is the most beautiful marathon in the world. It is a mountain marathon beginning at Interlaken (503m) and finishing at Kline Scheidegg (2061m) just below the north face of the Eiger. 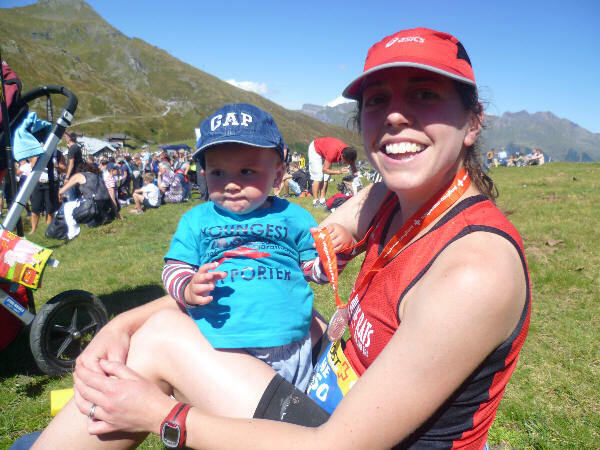 The run is a gruelling event with some very steep parts that take you through picturesque mountain villages and up onto the alps in front of some of Europe’s most spectacular mountains. There are bands playing, cow bells ringing and the echo of the mountain horns being played with all the supporters shouting ‘Hopp Hopp’ (‘Go Go’). 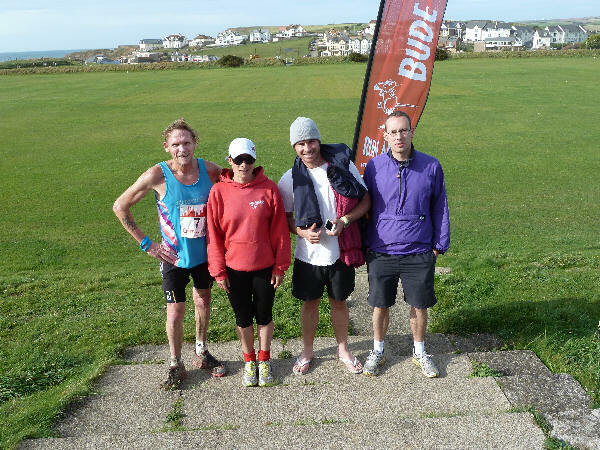 Local runners Jane Cann (Bude RATS), James Cann, Emma Raffe, Anna Heywood with husband Bob Seymore all completed the event in 30o heat. Despite taking a couple of attempts to find the start, three Rats proved that they can navigate (by using the follow the person in front approach) to take part in the Oke Croak – a beautiful but tough fell run ascending the beautiful tree lined East Okement river valley before entering the high and rugged moorland of Northern Dartmoor. The course is 10.4 miles and involves 2000 ft ascent. 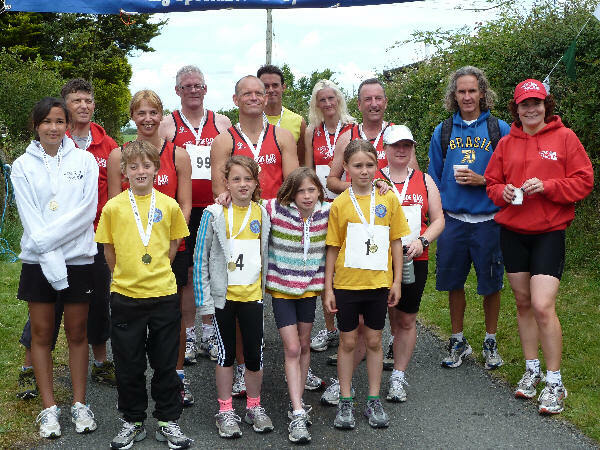 Pyworthy hosted their first 10k Road Race at the weekend in warm conditions, it would prove to be an enjoyable run with a sting in the tail at the end. 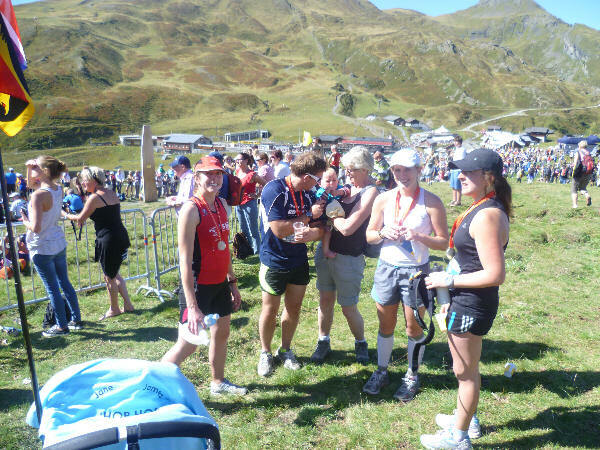 With a field of nearly 40 runners of all standards the race went off at a very fast pace, within the first 1k the leaders were stretching out the field with a fast down hill start, after that we had a long climb back up the valley, at half way the drinks station was a great relief in this heat. On the run for home the road undulates with a long pull up into Pyworthy and, on entering the village, we went into a field with the finish in sight, but we were directed away from the finish and entered another two more fields before climbing back up to the finish, a challenging finish but enjoyable. Pyworthy Team should be congratulated on their course and the way it was marshalled and marked out. Well done. 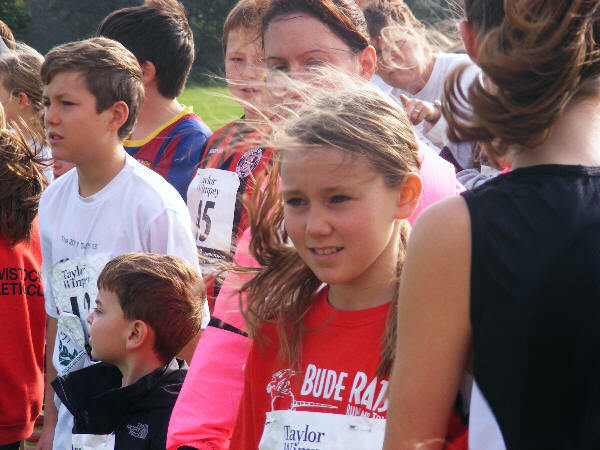 The Bude Triathlon started in very hot conditions which would take their toll on some competitors. The swim was slightly shorter this year but had a longer run into transition area; from then on the cycle has a tough up hill start followed by a long drag to Widemouth and a main road dash back into Bude. With the sun getting hotter, the runners were feeling the heat especially Sean (sicknote) who was having a bad day. Good times achieved by most of the RATs, well done to Andy Virgin on his first tri, great effort from everyone else. A dry evening with a little chill in the air greeted the runners, another great turnout from the RATs considering some had raced 3 days before in the Ruby Run. Starting at Bude Rugby pitch followed by a run along the canal track and onto farmland with a long up hill climb the runners get well spread out, following the climb we run along a hard concrete lane up and down and back onto the canal track for what seems a very long run for home back to the rugby club, along the way there are many mini battles between the runners fighting for places, it’s a fast competitive run. Total of runners starting 140 so a great effort from everyone. In conditions that suited ducks more than runners the 9th Ruby Run took place on a rainy Sunday morning; a wet start and finish did not deter the RATs runners and walkers, in fact it turned out to be good for all the runners keeping them cool. The course (from Hatherleigh to Holsworthy this year) is mainly an up hill climb with some long straights and is all main road. Mark Hutcheson led the RATs home with a great time of 1.26.21 followed by a strong run from Sabine Mclean Thorne 1.37.52 also the second woman home. As the race went on the rain got stronger but all our RATs came home slightly drowned rats but all relieved to get in and past that horrible hill finish into Holsworthy and get some dry clothes on. from 12 to the finish. The weather was a bit breezy but otherwise a good day out. I made it round in 7th overall in 1hr 26min 17 secs which left me 3rd in my category. A day of 4th’s! Mark, James and now Becky! James Miller did a very impressive 4th overall in mens: 1hour 11mins. Sarah was thrilled with her first ever open-water swim time and came in 15th lady (out of field of 30) an overall time of 1 hour 38 mins. Now where’s that litter bin? A breezy morning greeted the runners of the Bideford 10k, We had usual fast start down the High Street and over the Bridge quickly sorting out space for the runners, it’s a flat course so it’s a fairly fast race, coming back along the cycle track was a lot warmer than expected and it does drag on a bit, but some really good times were achieved. We had 21 Rats taking part and all ran well. The Hammonds made it a family event with Nicky, Kieran and Zeron taking the fun run by storm. Well done to all our heroes running in the heat that the London seems to chuck in just to make it that little harder. 3 of the RATs finished within 2 minutes of each other, Sarah smashed her old time by 28 minutes, and Mogsy her’s by 22 minutes. Full report and more pictures to follow. A bright sunny day with not a sign of the hoped-for clouds. 100, 73 and 44 mile routes - all taking in a significant stretch of North Cornwall’s hilliest coasal roads - the 100 and 73 mile routes included climbs up out of Boscastle, Crackington and Millook. Splat the RAT also rode, but had to drop out after 30 miles when his bike motor failed. 408 Runners. A really warm morning start for the Tavy 13 – 408 runners taking part, a fast run early on with some tough hills to contend with, 2 viaduct crossings and a very very long hill at the 7 mile marker, plenty of support along the way, the race finished on the Tavistock School running track. Mark Hutcheson had a great run finishing in the top 5 home so well done. 115 Runners. A challenging fell race of nearly 10 miles in length, taking in Sharp Tor, Bearah Tor, Kilmar Tor, the Cheesewring, Tregarrick Tor and the muddy marshlands around Great Gimble. Great effort from all the RATs in this energy draining race. A lovely sunny morning for the 202 runners, starting at the Dragon Leisure Centre and running around Lanhydrock House and Gardens. 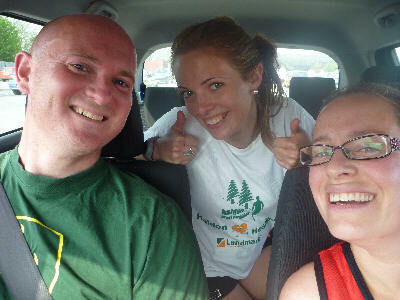 The runners had a multi-terrain surface from road, track, woodland and back to road. Included in the run were plenty of ups and downs, some very tough hills! All three runners ran well Mark finishing in the top ten “well done”, Helen 21st and 2nd in her category (will need a new trophy cabinet soon!) and Sean 40th another solid run. 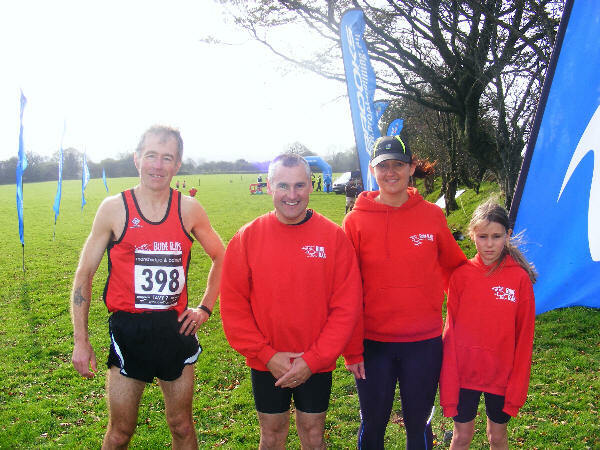 10th place overall, 6th in age group – a boost for the Tri RATs! 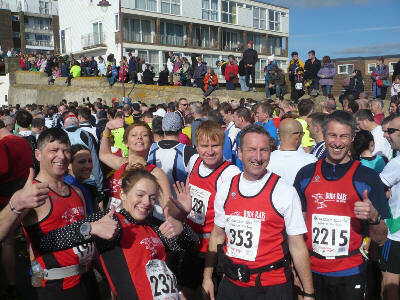 A lovely sunny day greeted the Bude Rats to the Grizzly 2011 at Seaton, the race title ‘Valley of the Bogs’ lived up to its name. 20 miles of pebble and shingle beaches, more hills than you can think of and loads of water and mud, plus bogs within bogs. Job Done! All of Rats Home in great times and all still smiling and aching at the same time. * The times with * (own watch time) are times from the gun going over the start line. A big field, nice sunshine but really cold waiting at the start for the Bideford Half Marathon and a bit windy running for home. 10 Rats turned up and all ran really well. 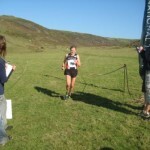 Congratulation to Helen Heard for finishing 3rd in her Category. A great run from Mark Hutcheson running for the first time as a RAT. 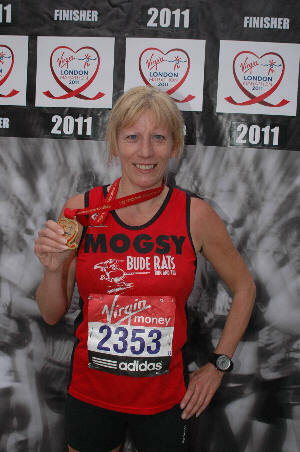 Our London Marathon girls all put in great times, well done Helen, Angela and Mogsy. 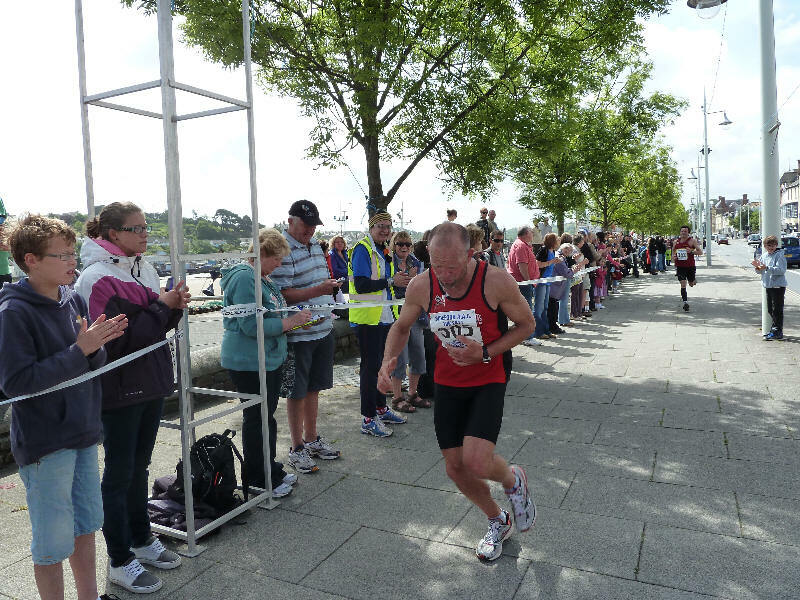 Sean (sicknote) returns with his best Bideford time. This time was 7 minutes faster than her normal time, so well done!!! hills, woods, rivers, forests and country lanes Torrington has to offer. What a great effort from our girls – all 3 get on the podium! This is a testing course with two steep climbs. Well done girls, great times. Well done to the brave ones who made a great effort in cold conditions. RATs results prior to 2011 have been moved to a separate page which can be viewed HERE.